♦ A jaunty Red Bird takes a rest among delicate tree branches. 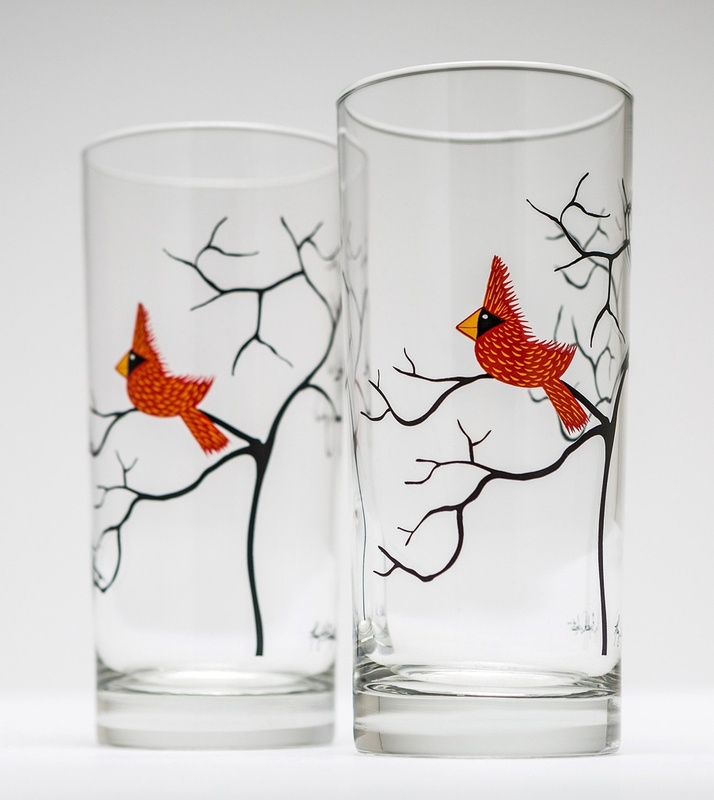 These everyday glasses are perfect for bird lovers of any age. Notice the fine details of the Cardinal happily perched on his tree branch.